Open the lid of imagination and create your own smash 'n bash adventures with Can-Heads! 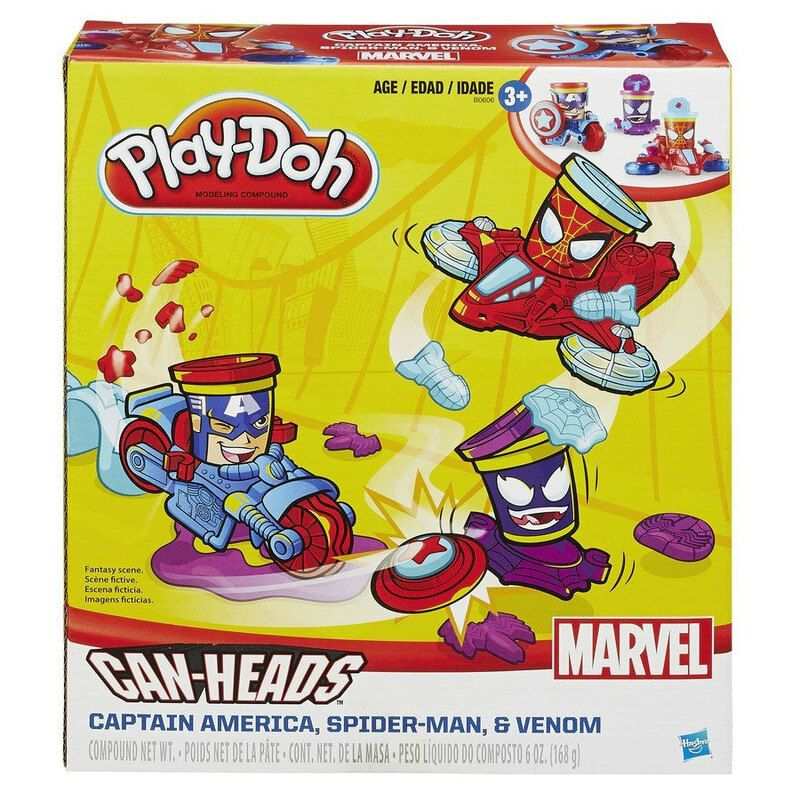 Now iconic Play-Doh cans are part of the action as you re-create your favorite Marvel Super-Hero battles. Each Can-Heads can contains 2 ounces of Play-Doh compound. Get ready for some can-to-can combat as Spider-Man and Captain America Can-Heads heroes take on Venom in their motorcycle and jet. Amp up the action by using the vehicles to create armour upgrades, missiles, and more! 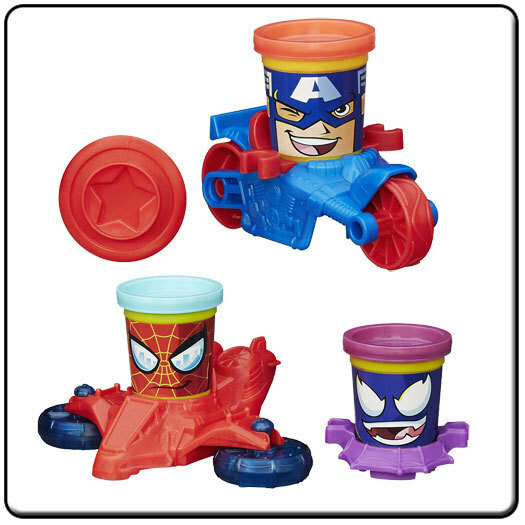 Roll and cut with the wheels on the Captain America motorcycle Stamp and shape with the propellers on the Spider-Man jet Create more shapes with the Venom stamper base Includes 2 vehicles, stamper base, and 3 cans of Play-Doh Brand Modelling Compound. Size H23, W20.2, D7.2cm. For ages 3 years and over. EAN: 5010994851651. WARNING(S): Not suitable for children under 3 years old.